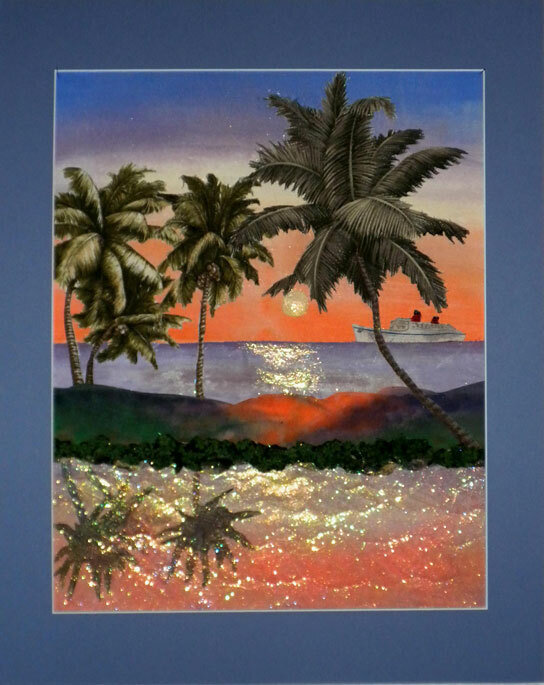 Tropical Sunset was created as a class sample for a 2011 Mexico Riviera Cruise with Quilt Camp at Sea. The background sky and water for this design was created painting with Tsukineko All Purpose Inks. Extensive threadwork enhances this design. Overlays of fused Angelina add the sheen in the foreground.